Fabufit | New Year, New You – Still sticking to your new year resolution? We’re half way through January and I thought I would just check who has made the traditional “I’m going to be healthier and go to gym” resolution. Have you stuck to it? I know the gyms were crowded already with all the ‘New Year, New You’ resolutioners. I think it’s great that people all have these honourable intentions to turn over a new leaf when the new year rolls around – but what makes so many of them fall off the wagon each year before 1 February. 1. Set realistic goals: Let’s be honest, most of us would want to look like a Victoria’s Secret model come Summer 2017, or even sooner. But honestly, if in our best shape – it’s never going to happen. We need to aim to be the best version of ourselves. Placing unrealistic goals, is the first step towards failure. Also, setting ridiculous weight loss goals – e.g ‘I’m going to lose 20 kilos in two months.’ If you are losing weight healthily – there is little to no chance you can lose that amount of weight in such a short time without taking unhealthy/extreme measures, which will just back fire on you in the long run. So take it slow and steady! 2. Make small changes: I always say this, and it’s an important point that cannot be over emphasised – making small changes to your eating habits and exercising at a gradual pace and slowly working your way to getting stronger and faster. Making wholesale changes is far too extreme a change and more often than not, is not sustainable. 3. Get a gym buddy: Having someone you can work out with makes a huge difference. You’ll keep one another motivated and on track. One tends to be more competitive too and therefore you’ll push to reach your goals more. The important thing is to hold each other accountable. 4. Drink more water: It sounds simple enough but it’s a simple change so many people fail to do. Not getting enough water can affect your body in so many ways – you’ll be dehydrated, feel lethargic all day, suffer from frequent headaches, constipation just to name a few side effects of not getting enough of water. Drink enough, and it can actually speed up your metabolism, help your bodily functions to run more optimally. So start by just drinking a glass before and after every meal. HOWEVER – BE CAREFUL NEVER TO KEEP A PLASTIC BOTTLE OF WATER IN YOUR CAR – THIS IS NOT HEALTHY TO CONSUME! 5. Get more sleep: This is one piece of advice I need to follow myself – I am so bad at going to bed earlier. It is so important to get enough rest. It can affect your entire day and most importantly, your metabolism, making it harder to lose weight. 6. Fall in love with exercise: By this I mean, find a way in which to get a workout that you love to do and that you can see yourself sticking to. The confines of a gym is not for everyone, some people thrive in the environment, yet, for others they could think of nothing worse. Perhaps attend a group class or take up a sport that you love to do. You’re more likely to stick with it and therefore see results. 7. 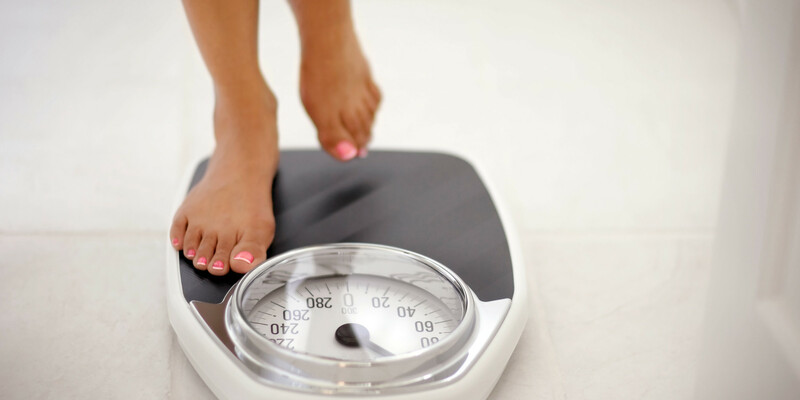 Forget the scale: Hopping on the scale everyday or even every week, is probably one of the worst things you could do if you’re trying to lose weight. That little gadget has crushed more weight loss dreams than a McDonalds Drive-thru. People step on that scale and don’t see the number they were expecting and are shattered. The truth is, the scale is not an accurate way in which to measure your progress because many factors can affect the number. The best way to gauge your progress is how you feel, how your clothes fit you and if people are noticing and complimenting you. 8. Don’t waste your money on diet pills: For the average person, I would recommend not even considering any kind of stimulants. It’s not sustainable, and is just another crutch. Understand portion control, make peace with food and cultivate a healthy relationship with food and you’ll soon see how easy it is to live your life in moderation, enjoy everything out there without binging. Training yourself to live in this happy balance is far more sustainable and cheaper than spending hundreds/thousands of Rands on expensive diet pills. 9. Don’t follow diet fads: There are many out there that work, for sure, but if you cannot see yourself eating that way for the rest of your life, don’t bother. Rather develop a healthy relationship with food and find balance. 10. Be kind and patient with yourself: Most importantly, be gentle with yourself. It’s okay to cheat, it’s okay to slip up, but don’t throw out all your good intentions because you had a wobble over a weekend and now think you’ve derailed your entire plan to change your body. Just get back on track as quickly as possible and keep going. Consistency is key. It took me a year to lose 15 kilos of weight – and in that time, I had ups and downs, wobbles a plenty – but I never gave up and kept my eye on the prize. Good Luck Guys! Stick with it and don’t forget FABUFIT will be there with all the motivation you need!